There can be a lot of boxes to tick when it comes to packaging. Depending on the product and the company, they might have specific considerations regarding the size and how durable a package needs to be. Not to mention the needs of branding and product showcase. However, we think that there’s one type of packaging that does a great job of ticking off all these boxes: blister packaging. 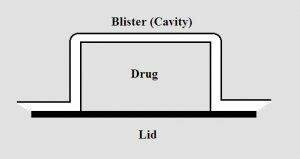 Blister packaging is probably most notable as the type of plastic container your single-serve medicine comes in. It’s the plastic bubble affixed to a cardboard backing. It’s easy to open and helps control dosage. But its handiness doesn’t stop there. Blister packaging is handy for more than just medications. It’s used often for tools and items that are better served hanging than shelved. 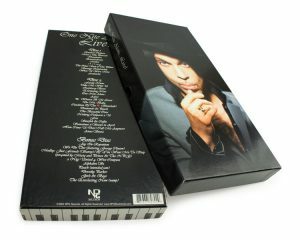 The rigidity of the plastic allows for security of the item, and the cardboard backing is dual purpose. It can provide more information, including instructions, about the product. And it provides an easy way for consumers to access the tool. 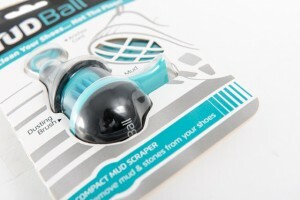 But not only is blister packaging friendly for consumers, it’s also eco-friendly. Depending on your recycling guidelines, it can be as simple as removing the cardboard from the plastic and binning appropriately. Other benefits of blister packaging include cost savings in different ways. This style of packaging is ideal for showcasing a product with cost savings as the materials are relatively cost effective. Additionally, theft and tampering is driven down by blister packaging (and really, any thermoformed package) because consumers can view the product beforehand. They aren’t as tempted to open it. Best of all from an organizational standpoint, the airtight seal ensures a long shelf life and exemplary package performance over time. There’s no worry about the product becoming defective due to outside pressures. And if blister packs aren’t exactly what you need, check out Sunrise’s other custom thermoformed options as well. In addition to blister packs, Sunrise can also create thermoformed trays and clamshells. Talk to a representative today to learn more about which style is right for your product! 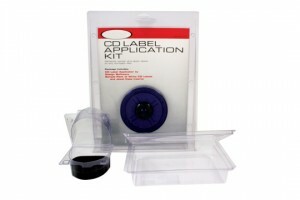 It’s not enough for custom blister packaging to provide security, support visual elements, and address security concerns. It has to be smart, too. To be fair, this idea of ‘smart packaging’ has been around for a while. It evolved out of ‘active packaging.’ Active packaging simply refers to some kind of function beyond containment of a product. Something as simple as an expiration date meets this criteria. As technology embeds itself further and further into the fabric of our lives, from smartphones to AI systems, this expectation of engagement extends to packaging. Intelligent or smart packaging refers to some method of information transfer between users and packaging. You’ve probably heard the word ‘smart’ appended to other things. Smart phones, most commonly, but also smart houses, smart cars, etc. When it comes to packaging, it has just as many possible variants. Moisture control. RFID tags. Oxygen control. The list goes on. But when we talk about custom blister packaging, there are some interesting immediate applications we’re seeing in the real world. IMC is one company leading the way when it comes to smart packaging, specializing in pharmaceuticals. These kinds of specialized packages need to combine branding and functionality seamlessly. Custom blister packs meet the bill. 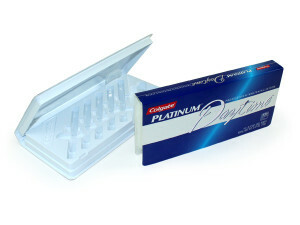 Blister packs allow custom-fit cavities to adhere to a cardboard or other sturdy packing. It allows users to see the product while giving package designers some leeway with the hard backing. And this is what draws IMC to custom blister packs. While traditional pill bottles–even with smart bottle caps–the space to embed electronics or other elements necessary for smart packaging is limited or non-existent. With blister packaging, it’s easy to encase something in the backing. Whether it’s an electronic designed to monitor dosage or help users with the product, it offers a different kind of experience. One of the more practical reasons for this kind of smart packaging is that adherence to prescribed routines is a major issue for patients and doctors. HealthPrize Technologies estimated in 2016 that such non-adherence lead to $637 billion losses in treatment for chronic conditions. Adding functionality that can, for example, remind users when to take their medication could lead to a decrease in major medical events. Thermoforming in any incarnation–trays, blister packs, or clamshells–can work with the demands of smart packaging. Easy to customize for any product, all of them offer a high degree of branding and functionality. Contact a representative today to learn more! The flip lid is a great option for packaging for a couple reasons. First of all, as packaging accessibility becomes more important, the flip lid is easy to open. We’ve written in other posts about the effect of the aging baby boomer population on the packaging industry. Nearly 10,000 baby boomers turn 65 everyday; they have a massive amount of economic influence. You might have already noticed increased accessibility elements on products. Pop tabs on cans, larger type and simplistic design elements on packaging to reduce visual clutter, and closures that simply take less effort to open. As we age, we tend to lose strength in our hands (a cumulative effect). A flip lid takes minimal pressure and exertion. Secondly, flip lid boxes create literal stages for products. They’re perfect for presentation packaging, particularly with magnet closure (like our Netbox style) and some other select finishing designs that complement the product and package as a whole. Imagine you’re the customer. You have a gorgeous box in front of you, waiting to be opened. You slip your fingers under the lid, popping it open, and inside are the perfectly-arrayed products with accouterments. Whether you’re looking to make an impact with a marketing kit, sales presentation or an influencer box, get creative with the lid. Here are some types of packaging we recommend. Cigar boxes are one of the most popular styles of boxes with a lid to flip open. Some organizations choose to magnetize a flap for extra security, or some extra element of closure depending on the product. 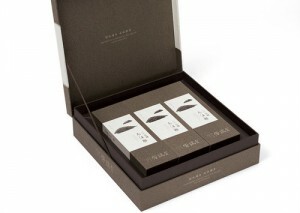 In the example to the right, the luxury packaging displays a high-end product in all its glory. The packaging doesn’t detract from the product, but rather adds to it. Like we said above, it gives it center stage. Custom cigar boxes can be customized further with inserts, like thermoformed trays or die cut foam. Foil stamping, embossing, and more can further dazzle customers. Depending on what you need to house with your packaging, custom thermoformed clamshells might be ideal. Hinged plastic clamshells add a layer of security in a couple ways. First, simply by protecting products with a bit of cushion, which might be helpful in transit. Additionally, if your product is sitting on a store shelf, it can deter shoplifters. Or those who want a closer look (and don’t really care about destroying packaging to do it). Plastic clam shells are made-to-order, ensuring a perfect fit for your product and accompanying materials. They’re frequently used for medical packaging due to the easy-open nature of the flip lid, but can be found in nearly any industry. Contact Sunrise Packaging today to discover more innovative ways to meet your packaging needs!